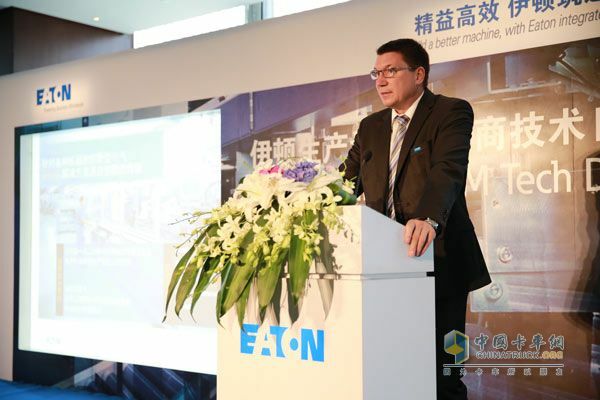 Eaton, the world's leading power management company, has successfully moved to Shanghai after the successful â€œEfficient, Eaton Buildingâ€ Eaton manufacturing equipment manufacturer technical day in Guangzhou recently, and on September 25, 2013 in East China. Key customers fully demonstrated their leading technological strength in the field of mechanical equipment manufacturing and innovative electrical and hydraulic solutions. On the day of the event, more than 100 customers, industry experts and technical representatives attended the event. Eaton also discussed the recent development trend of automation technology and machinery manufacturing industry together with industry customers in the event to jointly respond effectively to global economic, energy and environmental challenges. .
Mr. Burkhard Balz, Eatonâ€™s global marketing director for OEMs, said: â€œAs a leading global power management company, Eaton has always been concerned about customer development and changes, combined with the current development trend of energy management and mechanical equipment performance requirements, and strived to develop and design. Products and solutions that meet the actual needs of the market include support for a variety of customized equipment manufacturers to help them achieve more streamlined, reliable, safe and energy-efficient machine production management. 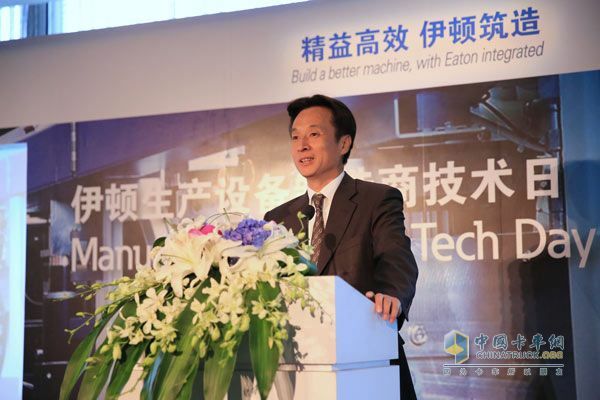 We also believe that with Eaton in the Chinese market With continuous improvement, we will be more aware of the diversified needs of local customers in the future, thus providing customers with more targeted and innovative solutions in this market segment." With the increasing demand for industrial upgrading and the increasingly complex economic environment, the life cycle of industrial products is constantly being shortened, and energy costs are also rising. Therefore, effective mechanical equipment production under current market conditions must satisfy two requirements at the same time: First, design and manufacturing are faster, and second, operation is more reliable and less energy is consumed. Without sacrificing performance, Eaton can effectively improve product design productivity through lean connections, lean automation, lean power, and compact hydraulic systems, reducing time-to-market, and reducing machine footprint and operating costs. The ability to seamlessly combine hydraulic and electrical expertise to streamline the advanced equipment product line that powers high-voltage test benches to further reduce production costs and speed up production, and to ensure hydraulic fluid systems and motors, power supplies, control and control Dynamic system stability and safety. Among them, the SmartWire-DTTM solution has been sought after by industry customers as an overall solution with its concept of effective integration, lean management, and long-term competitive advantage. First of all, this solution replaces a large number of cables used to connect motor control components in the past with a single cable, which can reduce mechanical wiring, test and commissioning time and workload by up to 85%, and it is the first networked control system to connect electrical components. The solution can realize the remote intelligent control of the sensor and reduce the engineering cost by as much as 70%. At the same time, it is a powerful communication system that can realize the transparent transmission of data between the controller and the sensor/driver to make the user more clearly Master maintenance, diagnosis and energy-saving operation. In addition, on the technical day, Eaton also showed the company's industry-leading products and solutions covering the entire equipment manufacturing process. The hydraulic group exhibited products including AxisProTM next-generation high-performance proportional valves, Eaton servo-driven hydraulic systems, HydrokraftÂ® plunger pumps, high-flow cover plate cartridges, and LifeSenseTM smart hoses. Among them, the newly introduced Axis Pro high-performance proportional valve supports larger flow, pressure and higher protection levels. The built-in sensor and axis motion controller can automatically identify the loop status and form a unique distributed axis control structure for faster response speed. , And real-time diagnosis of faults to ensure reliable operation of equipment. Four levels of control design, integrated software and hardware in one, through the Eaton Pro-FX? Software can be personalized settings and intelligent programming, tailored to meet the needs of different terminal applications. Eaton servo drive hydraulic system is the leading power source solution. 425 two-stage piston pump with servo motor and driver, according to operating conditions, can be adjusted to the maximum and minimum displacement, but also flexible switching between the size of the displacement, reduce the servo motor and drive torque requirements, can achieve long Time pressure, at the same time can reduce energy consumption and better maintain the machine reliable and efficient operation. Eaton's patented pressure pulsation elimination technology and one-key adaptive system Auto-Commissioning enable precise control, save tuning time, reduce labor costs and human error. The products exhibited by the Electric Group include human-machine interface and logic control (PLC and visualization systems for single devices and fewer linear automation components), safety products (with circuit protection functions, safety alert functions, and emergency stop) Buttons, functional safety solutions, and leak-proof hydraulic systems), industrial-grade uninterruptible power systems, motor management systems (variable speed starters, soft starters, and variable frequency drives), etc., while the integrated "Eaton integrated system" will be launched Improve the management efficiency of the industry's overall value chain, help customers have a more simplified, compact and lower-cost machinery manufacturing process, and then stand out in the increasingly fierce market competition. During the event, in addition to displaying innovative products and technical services for manufacturing equipment manufacturers, Eaton also launched a series of professional seminars to share with Eatonâ€™s global success stories and latest development trends with local customers and industry experts. Through further discussions, we will deepen mutual understanding and create opportunities for future new cooperation and development. At the seminar, the hydraulic group focused on its two-board system solutions and fully demonstrated its ability to provide customers with a full range of system services ranging from principle design, component selection, valve plate design and processing to installation and commissioning. Eaton is a leading global power management company dedicated to providing energy-efficient solutions that help customers more effectively manage electrical, hydraulic and mechanical power. As a global technology leader, Eaton acquired Cooper Industries in November 2012. In 2012, the total sales of Eaton and Cooper were 21.8 billion U.S. dollars. Eaton has about 102,000 employees and its products are sold in more than 175 countries and regions.